Last week, I came across a post on another blog, The Second Sentence, about how genealogy can help a historical fiction writer. I haven't been particularly inspired to write anything based on my own genealogy, but I know people who have. 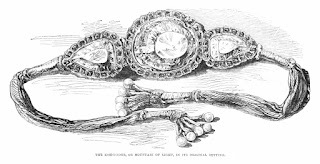 In reading ship manifests and censuses over the years, I've come across interesting things in the course of searching for various cousins and ancestors. For example, this weekend, I went back to the Talbot branch of my family to look at something. The Talbots are my grandmother's mother's family. They interest me because the Talbots were, as far as I know, the first of my Irish ancestors to set foot on American soil. I found a Patrick Talbot born in Ireland in 1855 living on Staten Island in 1915. Hmm, I wondered. Could this be the same Patrick Talbot who is my 3rd great-uncle? This post is for IWSG's May posting. 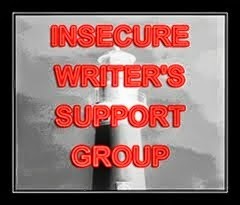 The Insecure Writer's Support Group was founded by ninja Alex J. Cavanagh and posts their writerly insecurities out into the world every first Wednesday of the month. The climax. The turning point. The hinge. The whole point of the story. For the longest time, I couldn't seem to make my stories get to a satisfying point. I could identify it in other stories, but in mine, they fell flat. Maybe it was because I'm not much of a plotter? Nope. It's because I wasn't thinking of my stories in terms of conflict. I was just sort of writing, going "la-di-da, this is conflict." It wasn't, obviously, or else the dang story would've actually turned or hinged or whatever you want to call it. Sometimes I still worry about my plotting abilities. Is the story actually building towards something? Will the pay-off be worth it?